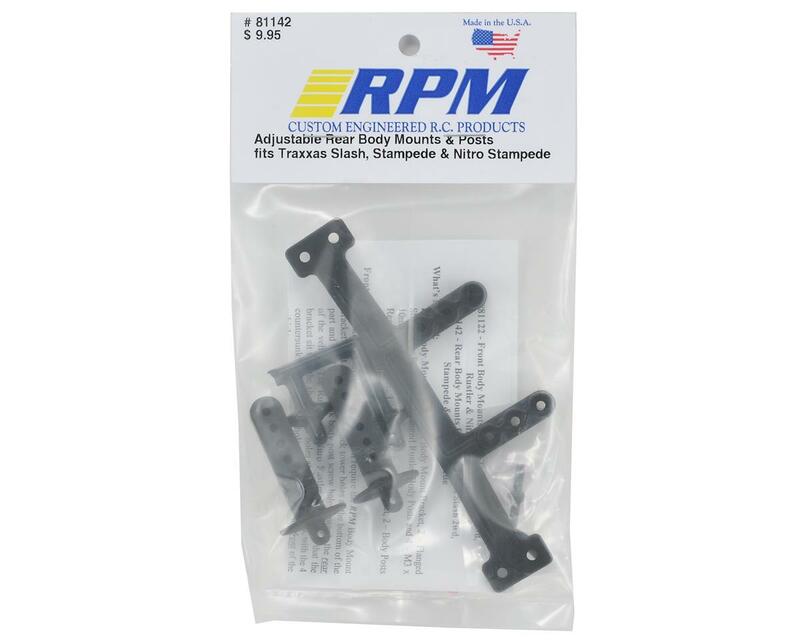 This is an optional RPM Adjustable Rear Body Mount, intended for use with the Traxxas Slash, Stampede and Nitro Stampede. 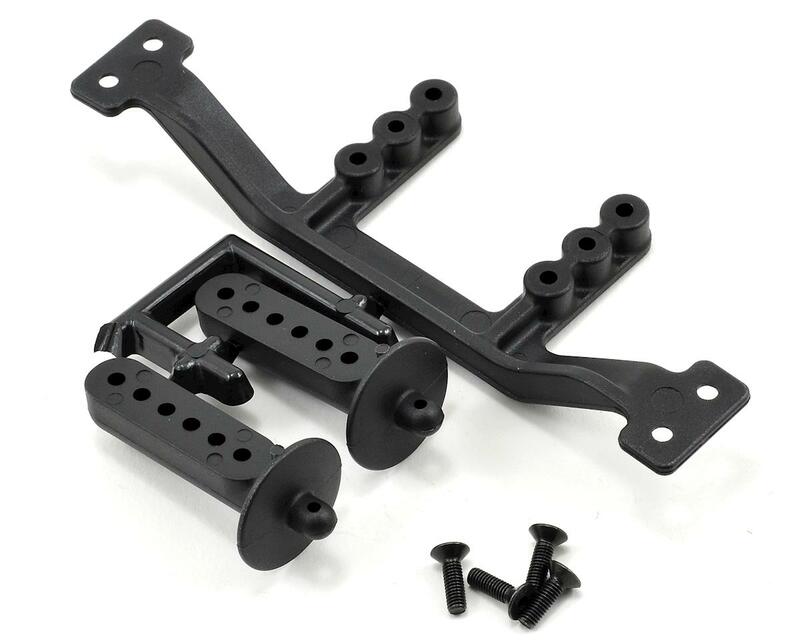 Immediately after releasing the Adjustable Body Mounts for the Traxxas Slash 4x4, RPM customers with the 2wd version of the Slash wanted adjustable, more durable body posts too. RPM Adjustable Body posts for the Traxxas Slash 2wd are designed for durability and strength while still allowing you to adjust the body height on the truck.